Man, little boy and girl sit near a sunset lake. 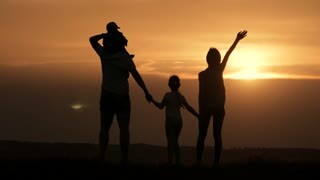 Father with two children enjoy time together. Family relationship. 4K. Happy Young Family with two children running on summer field. 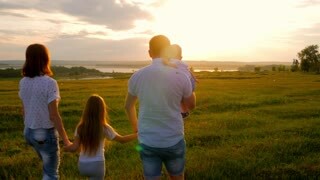 Healthy mother, father and little children enjoying nature together, outdoors at sunset.